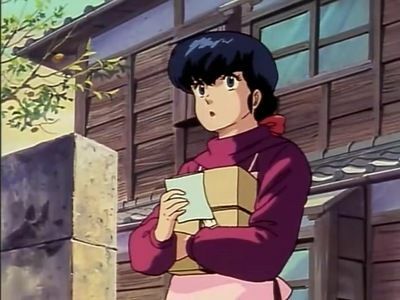 Godai finally gets the courage to ask Kyoko on a date, but with this being the anniversary of her moving to Maison Ikkoku, Kyoko considers it as only a friendly gesture. But things quickly fall apart as Godai and Kyoko go to different restaurants to wait for each other. Godai ends up in the proper place waiting hours for Kyoko to finally realize her mistake. Once they meet up with each other, she's very apologetic, and Godai is only too happy to take advantage of her feeling sorry for him. And even though Kyoko is willing to let him go a bit further than usual, Godai's luck runs out when he tries to steal a kiss. #2 - As Long as This Love Lasts! Ikkoku-kan is Forever...!! With their wedding fast approaching Kyoko and Godai are both cleaning out their rooms in preparation for moving in together. Kyoko finds an old box of Soichiro's personal items and Akemi and Mrs. Ichinose share it with Godai. Kyoko is embarrassed but Godai smiles politely and admits he has never seen a picture of Kyoko's late husband before and that he looks like a very kind man. That night both Kyoko and he are thinking about Soichiro. 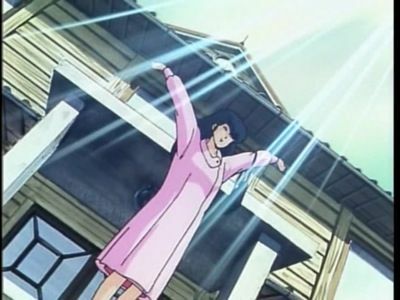 Kyoko decides that she is going to return Soichiro's belongings to his father, and Godai begins to wonder if he can measure up to the memory of her beloved first husband. 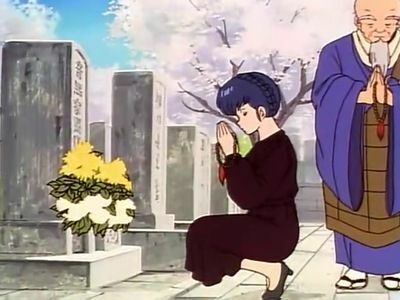 The next day, Kyoko visits Soichiro's grave to pay her final respects and finds Godai there, praying. 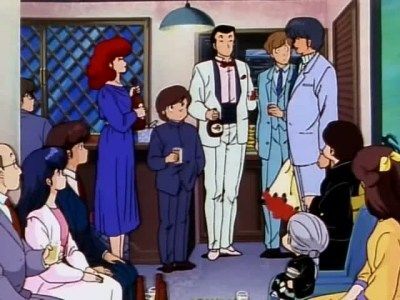 Yusaku tells Soichiro that he hopes to have his blessing for their marriage. Kyoko is moved to tears, and the couple stand before Soichiro's graves holding hands, ready to move ahead with their new life together. No one can contain their excitement as Yusaku and Kyoko's wedding day has arrived. Everyone comes to pay their respects and to get a look at the happy couple. Kyoko is beautiful in her wedding dress, and both Mr. Chigusa and Mr. Otonashi are in tears just from looking at her. Ikuko and Kentaro meet again after not seeing each other for a long time, and Sakamoto even cuts out of work to attend. Later at the reception Mitaka and Asuna arrive after a visit to the hospital. Asuna is very pregnant, and she and Shun are extremely happy together. Godai gives a speech thanking everyone for taking care of him all these years and asks for their continued support. The story flashes forward as Yusaku reveals the fates of Kozue, Ibuki, Shun and Asuna, Master and Akemi. 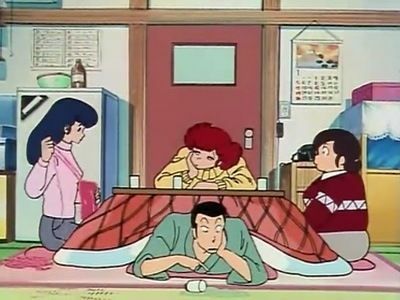 Finally everyone arrives back at Maison Ikkoku anxiously awaiting Yusaku and Kyoko's return from the hospital. As the taxi pulls up the happy couple steps out with their new baby, Haruka. 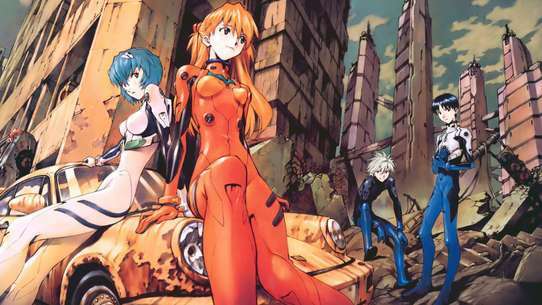 Everyone welcomes her to her new home as the series ends. #3 - Godai's Panic! 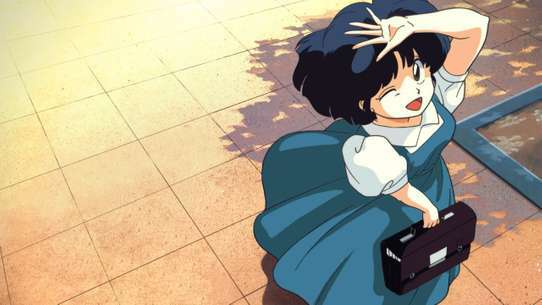 The Cat Who Came to Ikkoku. Godai and Sakamoto go out drinking with friends and Sakamoto gets Godai completely drunk. While he's in his druken stupor Sakamoto asks Godai to take care of his new pet cat while he goes out of town, and when Godai learns its name is Kyoko he happily agrees. The next morning, Godai wakes up in Sakamoto's apartment and doesn't remember a thing. 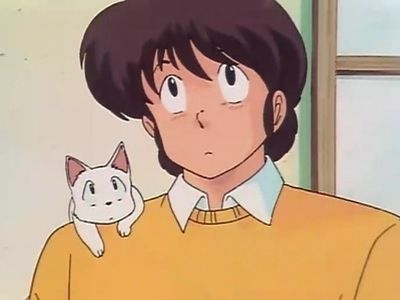 After some convincing, Godai reluctantly agrees to take care of Sakamoto's cat, but is worried because he thinks Ikkoku has a no-pets policy. 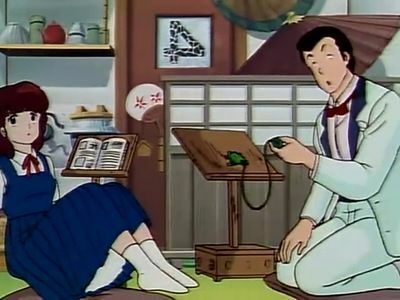 He manages to sneak the kitten into Maison Ikkoku, but his troubles begin right away when the cat uses the bathroom on his futon. As he screams her name in anger, the manager runs to his room to see why he was calling her. Before long the other tenants find out about Kyoko-chan. The kitten and Godai quickly bond and the other tenants manage to keep it a secret from the Manager while its staying with Godai, but once the cat goes missing Kyoko finds out and has to help him find her. #4 - Sorry To Keep You Waiting! I'm Kyoko Otonashi! #5 - Godai the Gigolo...? Are You Going to Get That, or Shall I? #6 - Love Panic on the Beach! A depressed Kentaro confides to Godai that his family is too poor to ever take him on a vacation. This reminds Godai of his on youth, when he had to stay and work at his family's restaurant while all the other kids in his class went on their summer vacations. Godai happily agrees to take Kentaro to the beach so that he won't have to suffer the teasing of the kids in his class. Mrs. Ichinose is reluctant to leave Kentaro alone with Godai, so Kyoko offers to go along with them, which Godai decides to use as a chance to get close with the Manager. 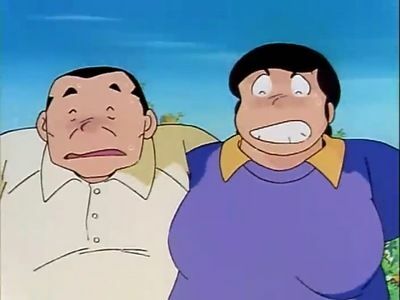 Soon his happiness fades when Ikuko decides to come as well, and Mitaka arrives at Maison Ikkoku to drive everyone there. Feeling extremely dejected at all the new company, Godai makes the discovery that the children have smuggled Soichiro, the Manager's dog, into the car with them. Pulling over to take a break, Godai learns that Mitaka is deathly afraid of dogs, and discovers his rival's one weakness. #7 - The Play's the Thing, Not the Playing Around! The Show Must Go On! 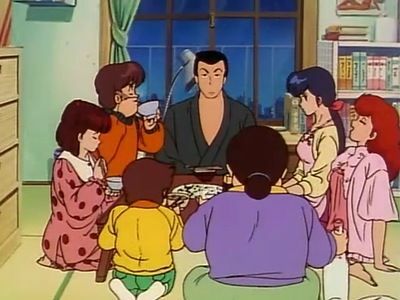 All the Maison Ikkoku tenants visit a local Fall Festival and Godai and Kyoko even decide to take part in it. A misunderstanding leads to Kyoko falling down a very deep well. Before long Godai realizes that Yotsuya was mainly responsible for the mishap, but when he goes to save her, he gets pulled in as well. Soon Yotsuya drops by but instead of helping, he uses the well in order to partake of his favorite hobby, voyeurism. After he leaves Yotsuya brings Mitaka to the well, but for reasons only known to him, he decides to push him in with Godai and Kyoko. Now a new problem has risen its ugly head...who will help Kyoko get out, and who will stay stuck at the bottom of the well? 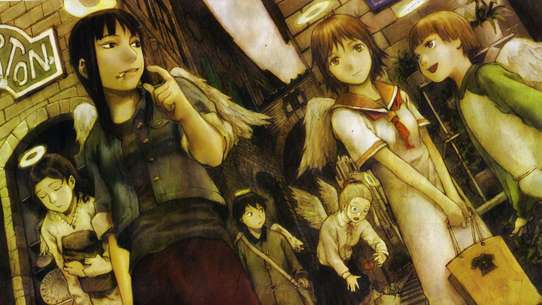 Soon enough a frightened Kozue climbs down into the well to hide from some locals dressed as monsters, Akemi jumps in to visit with Mitaka, Sakamoto hops in for a visit, Yotsuya returns to join in the fun, and Ichinose drunkenly dives in too! 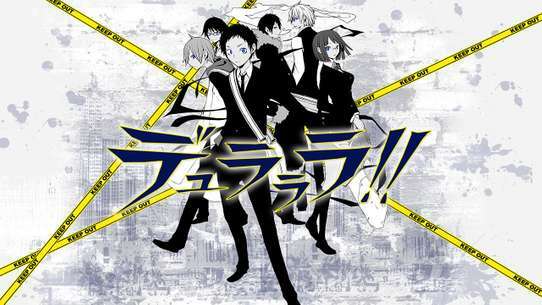 Can Kentaro save everyone else? Mrs. Ichinose decides that Kyoko's been much to glum lately with worrying about Godai's confession and her always looming regret over Soichiro's death, so she signs them both up for tennis lessons. The neighbors confide that the tennis coach is someone they'd have no problem leaving their husbands for. 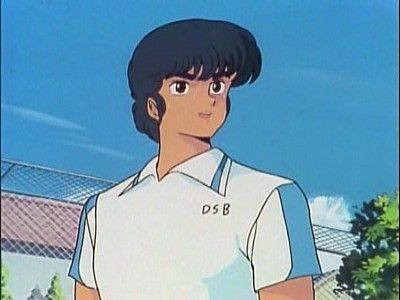 The tennis coach, Shun Mitaka, upon meeting Kyoko instantly becomes enamoured with her, and little does Kyoko know, but Mitaka will become the man she'll come to depend on quite a bit over the next few years, and after Godai's recent antics, she has no problem accepting his friendly overtones. 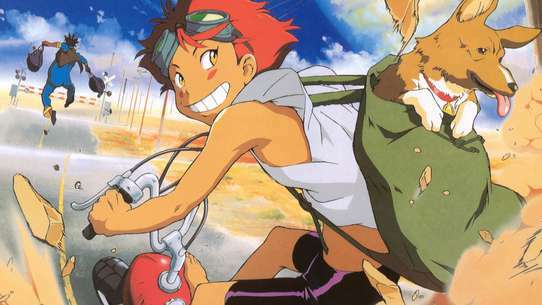 #11 - Kentaro's First Love! What's Age Got to Do With It? #13 - Scandal at Ikkoku! Godai's...SHACKING UP!? Kyoko learns that Godai is living with a woman, and thinks that this is the real reason he left. Godai comes back to the apartment and learns that the Yakuza has pawned all his belongings so that he can have money to gamble. After they refuse to move out, Godai hits the streets in hopes of finding a friend he can stay with. 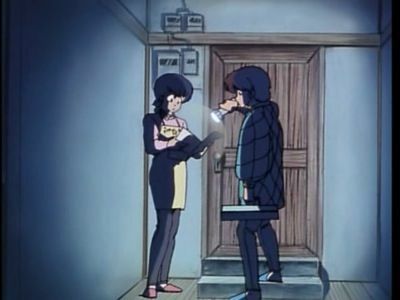 He calls Maison Ikkoku, but a dejected Kyoko lies and tells him all the rooms are full. After walking around all night and not finding a place to sleep, he begins to get really sick. 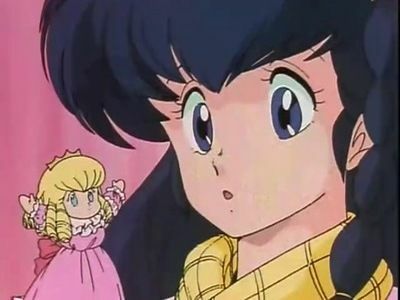 Finally stumbling his way back to Maison Ikkoku, the other tenants see him and chance after him, Kyoko finally grabs him and tells him to come home. #14 - Overpowered by Love! The Grandma Yukari Gold Tooth Gauntlet! #16 - One Entangled Evening! I Thought You Said You Loved Me!? 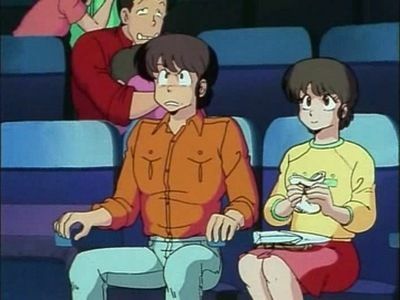 Godai decides its finally time to ask Kyoko out for a movie date, but when he arrives at Maison Ikkoku, he finds Kyoko heading out for a night at the opera with Mitaka. Feeling extremely put out, Godai runs into a former co-worker named Kozue Nanao, who he ends up taking out in Kyoko's place. Things really heat up when Mitaka's car breaks down and Godai and Kozue run into Mitaka and Kyoko. The rest of Kyoko's evening is spent angrily thinking about Godai's supposed two-timing, while Mitaka tries to let Kyoko know how he feels about her. 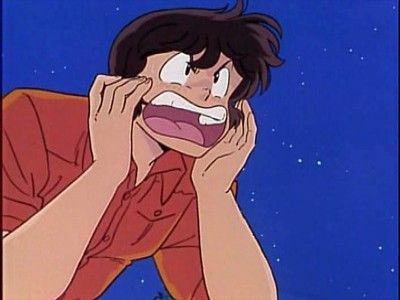 The tenants are shocked when they begin seeing a mystery man leaving Maison Ikkoku. Soon enough they realize that he is none other than Kentaro's father, Mr. Ichinose! 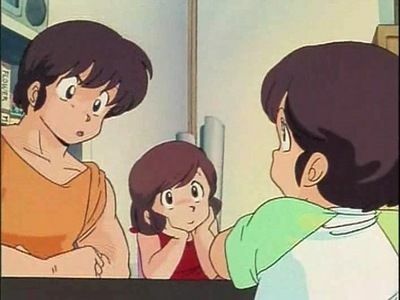 After losing his job, Mr. Ichinose begins having trouble finding a new one, meanwhile Kentaro has a parent/child sports meet at his elementary school, but is too embarassed to ask his overweight, alcoholic mother, and recently unemployed father to come, so instead he asks Godai and Kyoko to come as his sister and her husband. Godai is all to happy to accept, but Kyoko feels guilty. Yotsuya finally tells Mr. Ichinose what Kentaro has planned, and the Ichinose's decide to not only compete, but win the three-legged race. Godai takes a late vacation over Winter break to visit his family in Niigata. While he's there he plays rugby with his old high school team and gets a black eye. Since he's so embarrassed about his appearance, he delays coming back until his eye heals. Kyoko gets worried and starts wondering why Godai isn't coming home. While making a delivery for his parents restaurant, Godai crashes into a telephone poll and gets a second black eye. 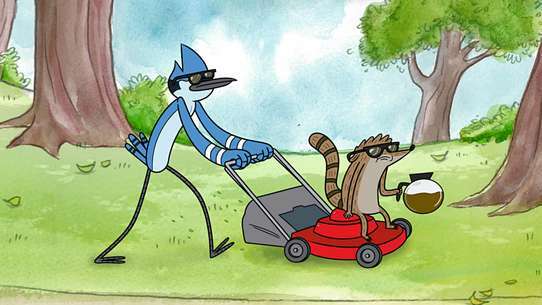 His family refuses to let him stay with them any longer and he heads back to Tokyo. Once he gets home, an angry Kyoko chastises him for not calling but can only laugh once she sees his face. Test time has finally arrived for Godai. As he does all the last minute cramming he can get away with Yotsuya, Ichinose, and Akemi take bets on which school's will reject him. Kyoko does her best to keep them out of Godai's way, but it doesn't do any good. As Godai heads off to take his tests, he misinterprets Kyoko's words of encouragement as a sign of affection, and can't stop thinking about it long enough to do well on a single test. With only one school left, Godai faces another year as a ronin, or overcoming all his distractions to become a full-fleged college student. #20 - Godai's Unspeakable Declaration! If You're Going to Do It,Do It! #21 - Kyoko's Hot Spring Heart Stopper: Peeping Wars at the Outdoor Baths! 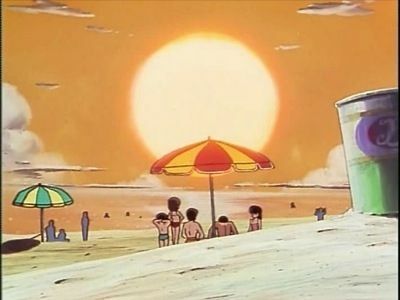 The Ikkoku residents decide to visit a hotsprings and Mitaka comes along. The trip starts off badly for Godai as he's forced to carry everyones bags. 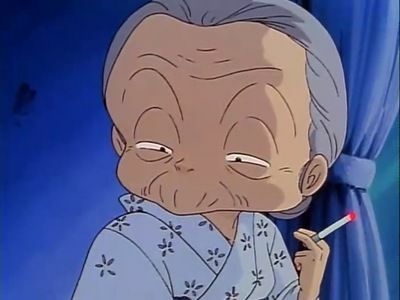 When they finally get to the hotsprings Godai begins to relax a little until Yotsuya attempts to find a way to peep at Kyoko, Akemi and Mrs. Ichinose on the other side. Godai and Mitaka try and stop him, but Godai gets stuck between the dividing wall and almost drowns. The night gets worse when they learn that Ichinose and Yotsuya spent all the money on booze instead of food. Everyone gets wasted and passes out, but Godai awakens in the middle of the night to find himself face to face with a sleeping Kyoko! #23 - Pajama-Girl Charges In! 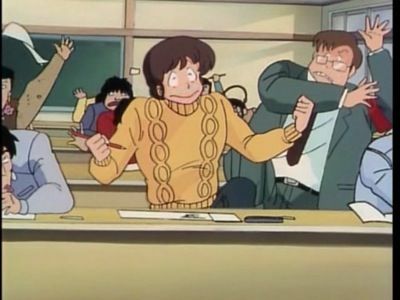 Maison Ikkoku in a Love Panic! Kyoko is on the bus headed towards the next stop on her trip. Godai on the other hand is stopped on the side of the road since his taxi broke down. When Godai finally catches up with the bus, he finds out Kyoko changed plans and got off earlier near the hot spring resorts. Godai gets a ride there and begins searching all the inns one by one. He just misses her right before she checks at an inn by the seaside. 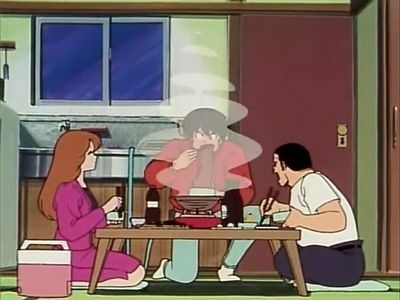 Kyoko phones Ikkoku-kan. Ichinose tells her that the plumbing is being fixed but everyone's fine, including Godai. Only after she hangs up do the tenants realize that Godai's not home. Kyoko is disappointed since she thinks all those glimpses of Godai she's seen and heard on the trip were just her imagination. As for Godai, by evening he's had no luck so he checks into an inn for the night. Feeling that he's failed, he goes to try out the open air hot spring bath. Shortly after Kyoko is in her room bored out of her mind. With nothing else to do she goes to soak in the hot springs. 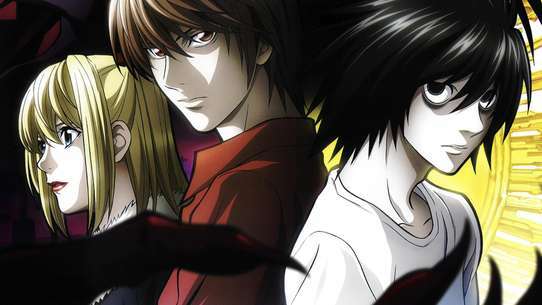 #25 - Yagami's scream! Yotsuya's Dangerous tutoring!